Friends for Youth is a nationally recognized, award winning direct-service agency with a 39-year history of measurable success matching youth with caring, adult mentors. Read our 2018 Report below. Friends for Youth was established in 1979, and since our inception, we have worked to support children who would otherwise go unserved, with an emphasis on positive youth development, academic achievement, health and wellness, prevention services, and critical skills for future self-sufficiency. We've helped over 2,000 youth reach their full potential. Our 90% success rate of creating long-term mentoring matches is far above the 33-37% national average. Studies have consistently shown that youth in our program improve their motivation and school performance, demonstrate increased self-esteem and resiliency, avoid negative behaviors, and rarely have future involvement with the Juvenile Justice System. Our mission is to create quality mentoring relationships for the youth who need them most. 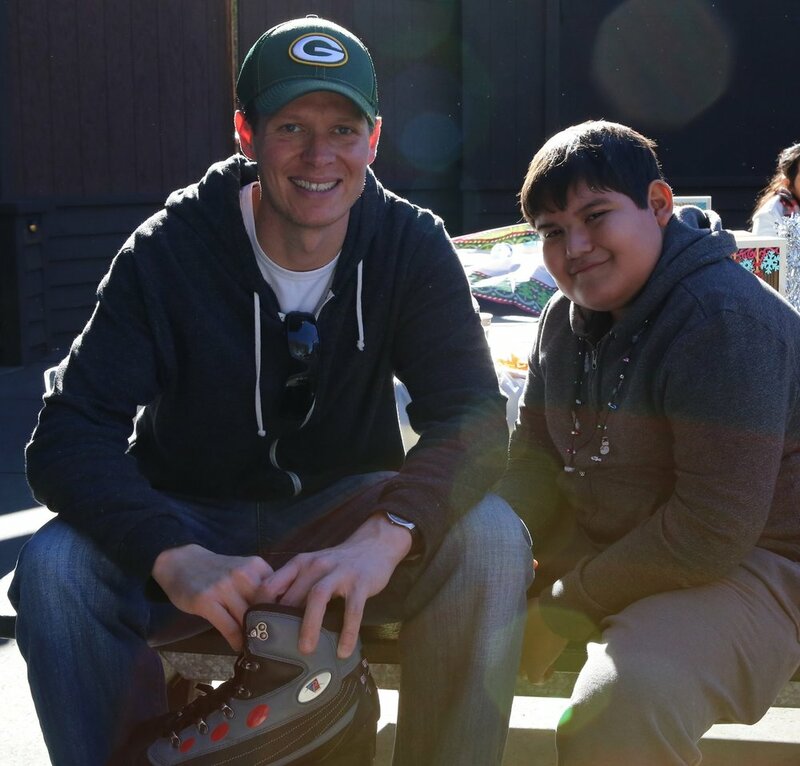 We first established our Mentoring Services program, providing direct 1-t0-1, community-based mentoring services to low-income youth ages 8 to 17 in San Mateo County and Northern Santa Clara Counties. Youth are referred by teachers, probation officers, and other youth professionals as being "at-risk" of academic or life-skills failure. In 2016, in response to substantial need brought to us by Sequoia High School, we implemented a school-based, group mentoring program called Connect™. Incoming freshmen exhibiting academic challenges, behavioral and mental health issues, poverty, and social isolation are identified by the school and served through group mentoring sessions on campus. Connect™has now expanded to serve youth before and after the transition into high school, from 8th to 10th grade. Friends for Youth represents the gold standard in the mentoring field. Mentoring programs throughout the country have requested technical assistance in setting up and enhancing their own mentoring programs. In order to satisfy this demand, we founded our Mentoring Institute in 1998 with a grant from the Packard Foundation, allowing us to help agencies adopt our successful mentoring model so that more youth would benefit from consistent, caring, and safe mentoring relationships. In addition to organizational techniques and staff training, we develop educational products to help youth-serving professional including SAFE mentor screening that protects youth mentoring programs from child predators. Dedicated to delivering mentoring services and positive youth development to youth facing adversity. Looking to apply her for-profit marketing and management skills to benefit youth in need, Karen joined Friends for Youth in 2004 just as the organization was celebrating their 25th anniversary. Captivated by the stories she heard at the anniversary event, Karen knew she made the right decision to join Friends for Youth. Appointed to the role of Chief Executive Officer in 2017, Karen had worked closely with recently-retired Emeritus CEO Becky Cooper assuring a smooth transition. Karen's role has evolved from Chief Operations Officer position where she led numerous operational improvement projects, donor development initiatives for individual and institutional gifting, marketing, IT strategy, as well as managed finance and HR. Karen previously had a rewarding for-profit career, working with major corporations building significant product and brand success. During her for-profit career, Karen held positions including Vice-President of Marketing at Varilux (US subsidiary of Essilor France), Worldwide Marketing Director at Oral-B (a Gillette company), Executive Director of Marketing at Penederm (a dermatology product startup), and a long tenure in marketing at Neutrogena Corporation. Sarah joined Friends for Youth in 2015 as the Program Coordinator for 1-to-1 Mentoring, and helped launch the School-Based, Group Mentoring program in 2016. Sarah now supports our programs by developing community engagement and partnerships. She is passionate about creating opportunities for marginalized youth and families and fostering the power of mentoring. She has a Bachelors in Planning, Public Policy and Nonprofit Management from the University of Oregon. As an avid volunteer she received the Leaders of Oregon award for her work in food access and the national Spirit of Service award for her contributions as an AmeriCorps VISTA. Prior to Friends for Youth, Sarah worked for Venice Community Housing Corporation's YouthBuild program in Los Angeles, where she managed volunteers and developed leadership opportunities for young adults. In her spare time Sarah enjoys the arts, hiking and traveling. Ana joined the Friends for Youth team in 2017, after three years of teaching legal education and life skill courses to youth who are involved in or at risk of becoming involved in the juvenile justice system. Ana taught about the law and consequences of crime to juvenile detentions centers and continuation high schools across San Mateo County, which makes her a great asset as a Program Coordinator for Friends for Youth's mentoring programs. Ana’s commitment and life goal is to continue serving at risk youth in her community. She has a Bachelor’s of Science in Criminal Justice Administration with Justice and Enforcement option from California State University, East Bay. Ana grew up in Redwood City and now gives back to her own community. She aspires to become a Juvenile Probation officer one day. In Ana’s spare time she enjoys spending time with her family and close friends, going to the movies, and shopping. 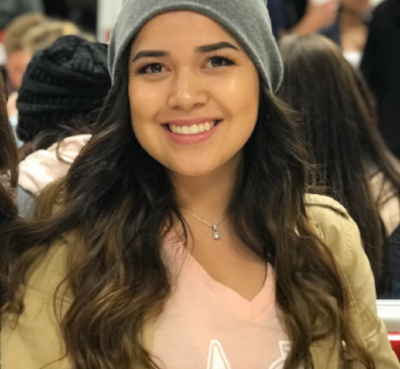 Marcela joined the team in 2017 as our Administrative & Social Media Intern. She has a Bachelor’s of Science in Business Administration with a concentration in Entrepreneurship and a minor in Communications from Notre Dame de Namur University. Marcela grew up in South Los Angeles and at nine years old was recruited by a not-for-profit organization that provided free music education to under-served kids in her community. She is passionate about helping her Latinx community and youth who are facing several risk factors. Her dream is to one day start her own not-for-profit organization for children in the hopes of changing people’s lives the way hers was changed many years ago. Marcela is a violin player, feels at home when she’s at the beach, and has been to 12 countries! Jasmine joined the Friends for Youth team early 2018 as our 1-to-1 and Group Mentoring intern. She is now the Associate Program Coordinator working to make a difference in her own community. Jasmine is currently a full time student pursuing a Bachelor of Arts in Sociology at California State University, East Bay. She was born and raised in the Bay Area and is passionate about helping her community. In high school, Jasmine learned how life changing mentoring is as she was once a mentee through another non-profit organization in the Peninsula. Her dream is to become a high school guidance counselor to continue making a difference with youth. Jasmine enjoys trying new foods, traveling, and playing with her puppy Mia!